Want to install new patios? Need to give a stylish makeover to your patios. If yes, you have come to the right place. 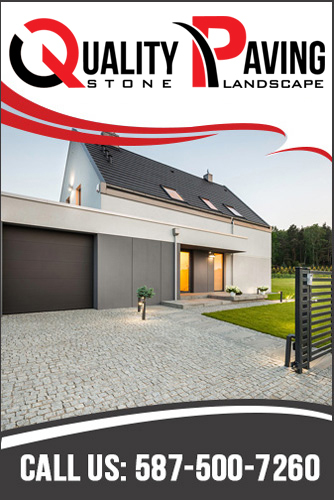 At Quality Paving Stone Landscape, we have a team of experienced and skilled patio contractors Calgary who will turn your ideas into a reality. We are committed to offering top-notch patio installation and repair services to our customers across Calgary. We are equipped with the high quality materials and stones to make your outdoor space look amazing. Love to spend an hour with your favourite coffee and book? Or simply want to laze around? Your patio is where you generally live to relax and have some “me time”. If you want to renovate this area of your house, we are here to help. Our patio builders in Calgary build concrete to interlocking pavers to give your patios a whole new look and feel. We provide various exciting colors and patterns to suit your personal style. Our team of experts will carry out the outdoor patios installation and maintenance services. With in-depth knowledge in landscaping, we know how to improve the appearance of your home exterior. We also offer custom patio designs. Besides, we are skilled to fix any kind of issues efficiently. A beautiful patio can significantly increase the value of your property. It also creates an amazing outdoor atmosphere for your family and friends to enjoy. Whether you want to upgrade the old patio or install a new stylish one, we will create the look of your choice on time and within budget. At Quality Paving Stone Landscape, our patio builders in Calgary are committed to providing quality masonry services at affordable prices. We offer a wide range of ideas and designs to meet your needs, budget and taste. Our professionals can also build a custom patio in the most efficient and timely manner.